Legend tells us that the Ramones sold more t-shirts than records. Try it now, go out around town and count how many people, all ages and sizes, are wearing a Ramones t-shirt! It’s a little t-shirted army. Iconic! Ironic! Anyway our band is in the t-shirt business too. We have a t-shirt promotion rolling out into the universe. Come on. Join us. It’s easy. 1. 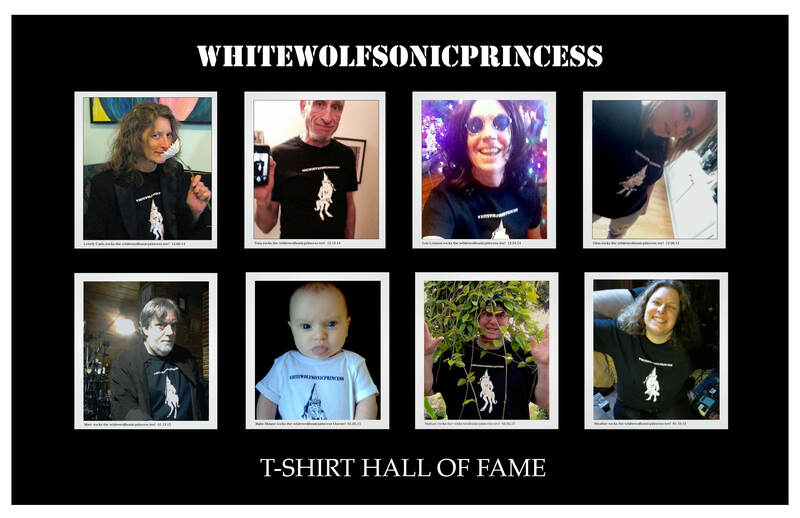 Purchase a whitewolfsonicprincess t-shirt on Bandcamp! 2. Take a “selfie” wearing your new t-shirt! 4. We will Tweet, Post and Add you to our “t-shirt hall of fame!